It’s 1978. A fourteen-year-old girl goes missing from a suburb on Sydney’s Northern Beaches. A few days later, her body is found in bushland in Palm Beach. She’s been strangled with her own scarf and there’s evidence of sexual activity. Under suspicion are those last to see her alive, including the girl’s cousin Matt and his mates. Suspicion lingers, despite the police being unable to bring a case – until a second girl is found dead at Kings Cross some time later, killed in a near-identical fashion. The murders are attributed to an unknown “serial killer”, dubbed the “Sydney Strangler”, even though no other murdered girls are found. 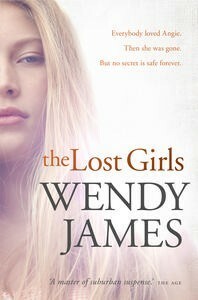 The two dead girls, local “chick” Angie and country runaway Kelly, aren’t the only “lost girls” in Wendy James’ latest novel, The Lost Girls. There’s Jane, Angie’s younger cousin, and Kelly’s younger sister Kath and her mother. There’s also Angie’s mum Carol and her aunt Barbara. Each is “lost” in some way, coping – or not coping – with the impact of those violent deaths. The Lost Girls explores this impact thirty years later, when a mysterious journalist, Erin Fury, appears. Ostensibly she’s doing research for a radio program, aiming to explore the impact of such deaths on the families of murdered women. Her first interview is with cousin Jane, now middle-aged and married to childhood sweetheart Rob, with a teenaged daughter. Jane, reassessing what she has done with her life, is eager to revisit the time when her beloved cousin was killed. It’s as if she might answer some pressing personal questions by reviewing that time through adult eyes. Jane isn’t the only one Erin targets. She also interviews Jane’s brother, one-time suspect Matt; Jane and Matt’s policeman father Doug, now a nursing home resident suffering from dementia; their mother, Barbara; and Jane’s husband, Rob. Each has a take on past events and, as Erin inveigles herself into their lives, long-held, sometimes painful, secrets are revealed. One aspect of The Lost Girls I particularly admire is its evocation of place and time. I grew up on the Northern Beaches around this time, and many of the specific details James gives – from the local milk bar with its pin-ball machine, to the type of lollies the characters buy – bring back vivid memories. Another aspect is James’ ear for dialogue. So many of the characters sound like people I know or have known. I also admire her skill as a storyteller, her ability to create suspense and her seemingly effortless transitions of time, point of view and tense. Chiefly I’m interested in the way James uses a sensationalistic premise, that of serial killing, in order to explore facets of human nature. 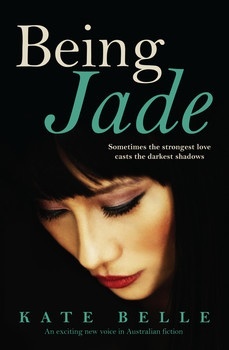 Unlike many contemporary crime and thriller writers, she doesn’t offer violence as entertainment; nor does she place it somewhere “out there”, beyond the experience of the reader. Rather, she shows how individuals respond to such traumatic events, and the effects of the choices they make as a consequence. Along the way, she suggests how such choices shape us as human beings; how we come to terms with suffering, loss, mistakes and betrayal; how we love or try to love, despite disappointment; and the meanings we make of our own and others’ lives. 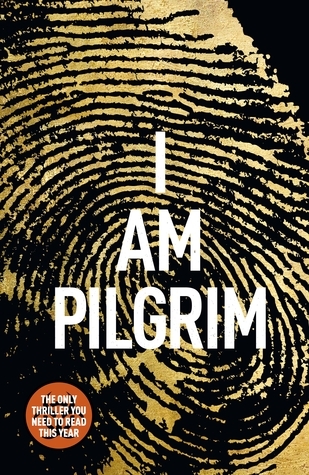 Crime author Angela Savage has remarked that the reader of James’ novels doesn’t have to suspend disbelief. In general, I’d agree. However, initially while reading The Lost Girls, I found the journalist Erin’s character unconvincing, particularly in terms of motivation. She seemed more of a device than a psychologically realised character. Then I began to see her as one of the “lost girls” of the title and she made more sense to me. And it’s for that reason that I’d disagree with the criticism both Savage and Michelle McLaren make of the Epilogue, that it’s somehow a mis-step or unnecessary. For me it resolves the central motif of the story. With The Lost Girls, James consolidates her place alongside Honey Brown and newcomer Dawn Barker among Australia’s foremost proponents of an emerging genre of psychological suspense, which some have dubbed “suburban noir”. I’m eager to find other Australian authors who might fit into this category. Do you know of any? This review forms part of my contribution to the Australian Women Writers Challenge and the Aussie Author Challenge. A review copy was kindly supplied to me by the publisher via Netgalley. The Lost Girls has attracted a lot of attention from AWW reviewers including: Shellyrae at Book’d Out, Carol at Reading Writing and Riesling, Bree at All the Books I Can Read, Jess at The Never Ending Bookshelf, and Bernadette at Fair Dinkum Crime.